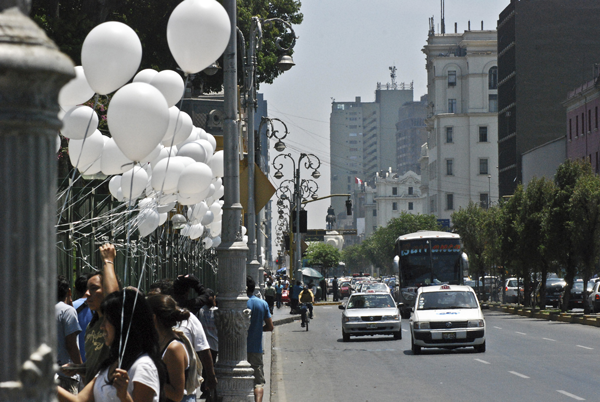 Public spaces in Lima are usually controlled through gates. These elements restrict the use of public spaces for the sake of exclusivity, order and security, and even beauty (when it comes to parks), finally ending up with a landscape of bars. 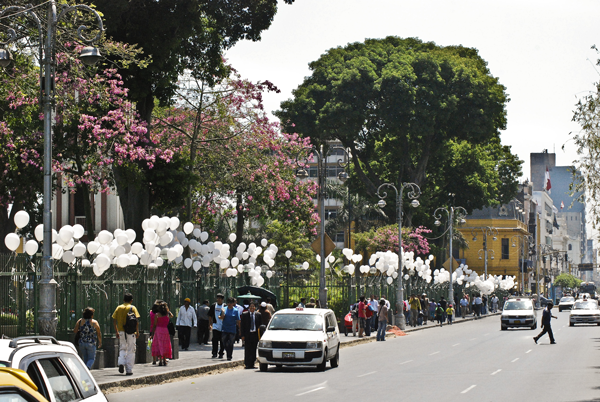 In ‘Gravitatory Intervention’, park visitors and passers-by tied thousands of helium balloons to the gate of Parque Universitario in Lima, in a poetical attempt to let the gate take off. 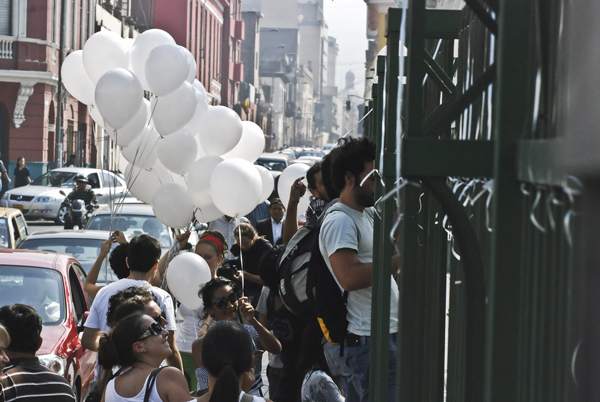 This project acts on elements that restrict the use and access to spaces whose function is to host the citizen, to be places of connection, identification, urban living and community expression.